Kerala, the beautiful state in the South-Western region of India is known as God’s own country. The picturesque land is blessed with lush scenic landscapes and pristine crystal clear beaches which leaves its visitors awestruck. Kerala is blessed with natural beauty in abundance. The unique ecological diversity makes it an amazing choice for all. The land is blessed with pristine beaches. Right from Varkala to Kovalam, Payyambalam, and Kappad, Kerala is known for its amazing number of beaches every tourist must visit. Don’t miss out on the only drive-in beach of South India, Muzhappilangad. 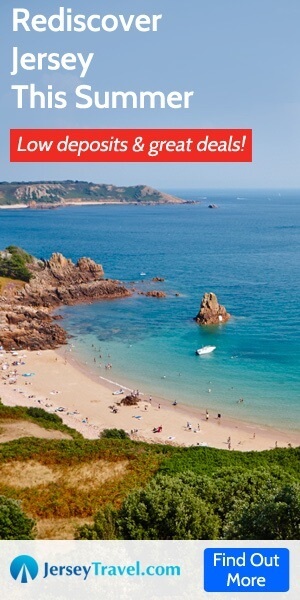 This beach should definitely be on the top of your list. It is amazing how Kerala has painstakingly preserved ‘Kalaripayattu’, the ancient art of martial arts. Here, one can witness several timeless traditions. These can be seen in varied dance forms, ayurveda, sports, herbal spas and a lot more. 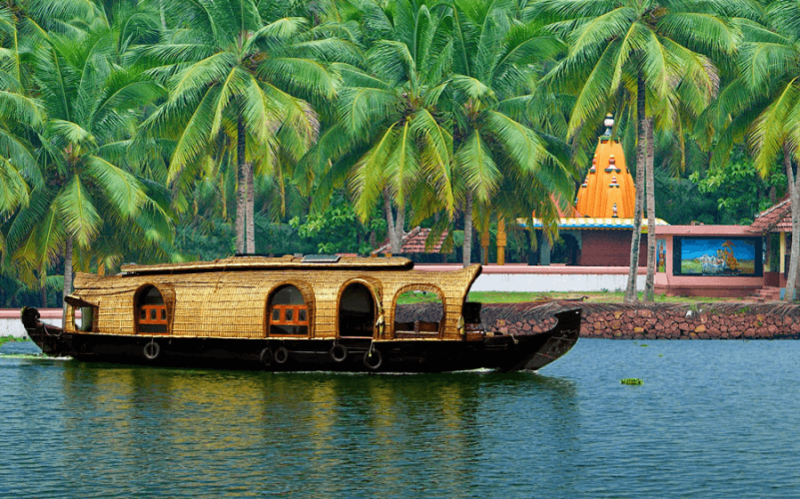 Plush, lavishly equipped houseboats on the backwaters of Kerala promises the much needed serenity to tourists. 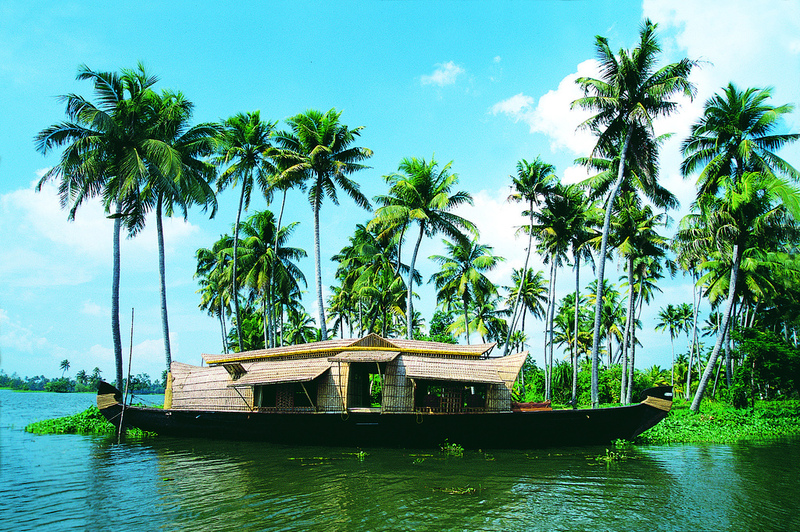 The captivating backwaters of Kerala are certainly a must visit for all. The maze of lagoons perfectly criss-crossed with canals, rivers, and shallow pools are God’s gift to the land. Kerala is home to some of the best flora and fauna across the nation. The land is blessed abundantly with diverse landscapes. You would feel blessed to find serene beaches at Kovalam, dense forests in Nilambur and Periyar, the majestic backwaters of Allepey, splendid Athirappilly Waterfalls, and the picturesque tea plantation of Munnar. So much beauty and variety – surely, it is the place Gods may love to reside. The divine land is also home to several species of amazing animals residing here. You will find bathing animals like elephants. Some of the most famous activities here is bird watching. With this abundant gift of Flora and Fauna, Kerala definitely deserves to be called the “God’s Own Country”. As per the the Hindu Mythology, Lord Parsurama, the Avatar of Vishnu threw his axe from Kanyakumari towards the north. This gave birth to a land that arose from the ocean and presently known as Kerala. Now this legend makes Kerala “God’s own country”. Kerala has also been immensely successful in keeping its religious values intact. People following different religions and cultures reside here together. Tourists must pay a visit to siggnificant religious sites such as Kottayam, Sabrimala, St.Francis Church and many more to know more about the religious values of Kerala, the picturesque land created by God. The lip smacking “South Indian Food” is famous all over the country. The traditional feast ‘Sadya’, comprises of a variety of delectable dishes incluing sambar, rice, thoran, olan and wide range of pickles and coconut chutney. The most sought after Kerala breakfast options are irresistibly scrumptious. The land treats its visitors with mouth watering range of breakfast options such as Appam, Iddiappam, Dosa, vada, and piping hot idlis. The state is a haven for all foodies. Also the seafood cooked in coconut gravy is a must-try here. Kerala has a lot to serve you on a single banana leaf, Kerala is indeed referred to as “God’s own country”. Kerala soil is highly fertile. Rich in minerals, the state is home to a number of exotic species of plants. Some of the main vegetation that grows here include Coconut, Paddy, Rubber, Tea, Banana, Coffee and a lot more. The beautiful land of Kerala is so fertile that it beautifully grows a huge number of spices including Cardamom, Pepper, Clove, Ginger grow here abundantly. Tourists love to visit one of the several spice gardens here and experience the richness and divinity of the land. The almight has painted this exquisite land with several hues of nature’s wonder with diligence and efforts. Kerala is indeed “God’s Own Country”.